The potential exists for the Bengals to host two playoff games in the Divisional and Championship rounds. 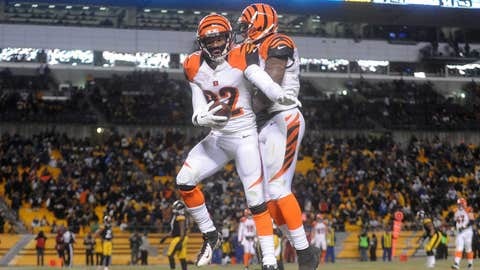 A public pre-sale of tickets to potential Bengals home playoff games will begin Saturday, Dec. 21 at 10 a.m. The pre-sale will run through the weekend, and all sales will be handled by Ticketmaster. For on-line purchases, fans will be able to quickly reach the correct Ticketmaster web page through a prominent link on the home page of Bengals.com. Fans also may contact Ticketmaster by phone at 800-745-3000. A full on-sale will begin next Monday at 9 a.m., at which time fans may purchase tickets in person at Paul Brown Stadium, or by calling the Bengals Ticket Hotline (513-621-8383). Tickets may also continue to be purchased through Ticketmaster. The potential exists for the Bengals to host two playoff games, and tickets are sold as a two-game package. For any games not played, refunds will be available. The two-game packages are based on the possibility of the Bengals hosting games in the Divisional and Championship rounds. If the first game hosted is in the Wild Card round, rather than the Divisional, the price will be lower, and refunds will be available. Potential home playoff dates are Saturday and Sunday, Jan. 4-5, for Wild Card round games. Divisional playoffs will be scheduled Saturday and Sunday, Jan. 11-12. The AFC Championship game will be on Sunday, Jan. 19.